A makeover was desired to provide a singular progressive design that incorporates flair and distinction on the building exterior with efficiency for both staff and customers inside. We created a beautiful brick façade with an eye-catching tall, tinted glass tower at the entry. The tower feature is both a destination point of reference as well as the marker for the building entrance. 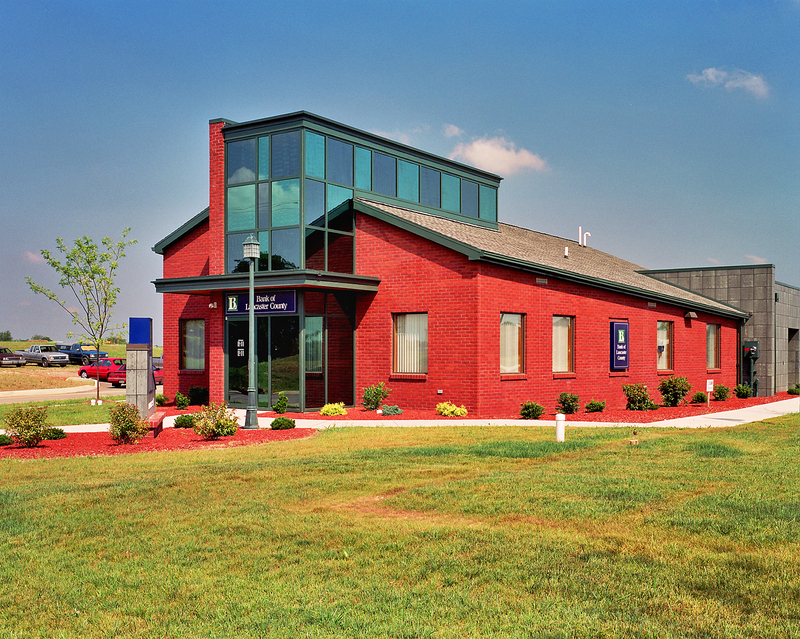 The shape of the building was designed for maximum customer satisfaction and experience inside, with spaces in the front for face-to-face private meetings and teller stations for basic transactions at the rear. This became the signature design still used when the bank became part of PNC Banks. 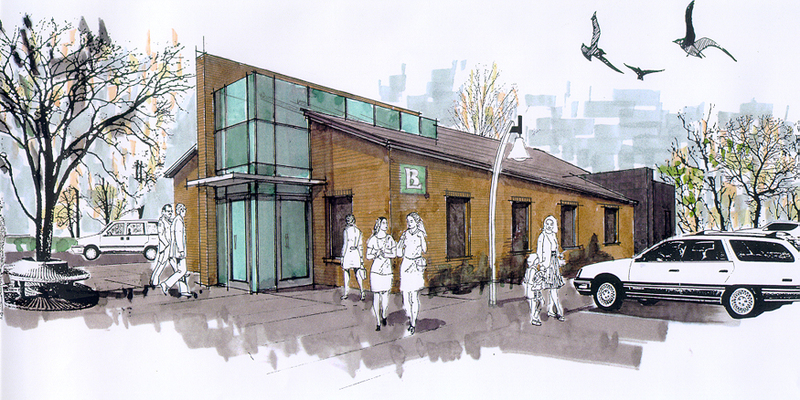 This preliminary architectural rendering shows the ease and convenience for customers to enter the bank from parking areas along two sides. By providing decision makers with a visual of the end product, the branch facility manager was able to expedite the project approval when it was presented. The front entry consists of two sets of doors that help maintain a consistent temperature inside. Private offices are contained behind glass walls that allow staff to see and greet customers as they enter. 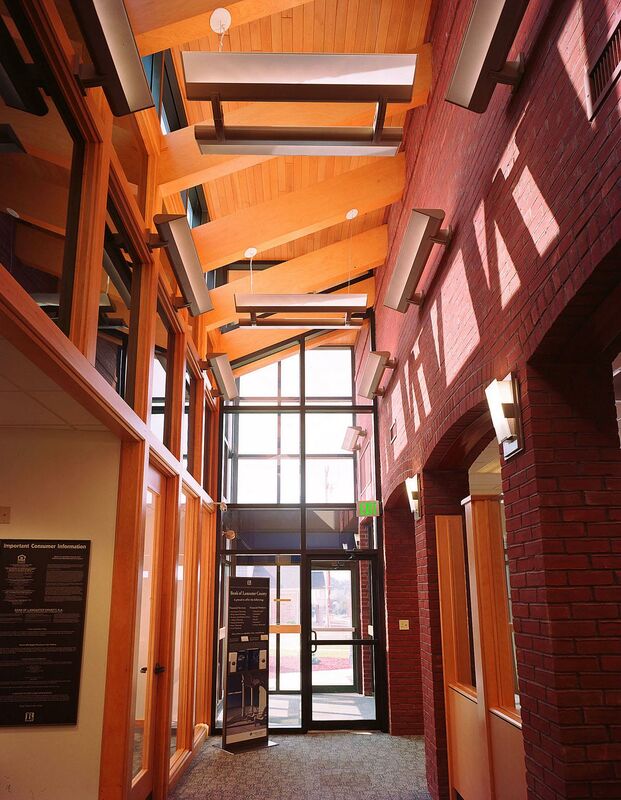 The expansive amounts of glass in the tower and interior offices provide a bright, sunlit, cheery atmosphere enhanced by the natural elements of wood and brick and a slanted ceiling. 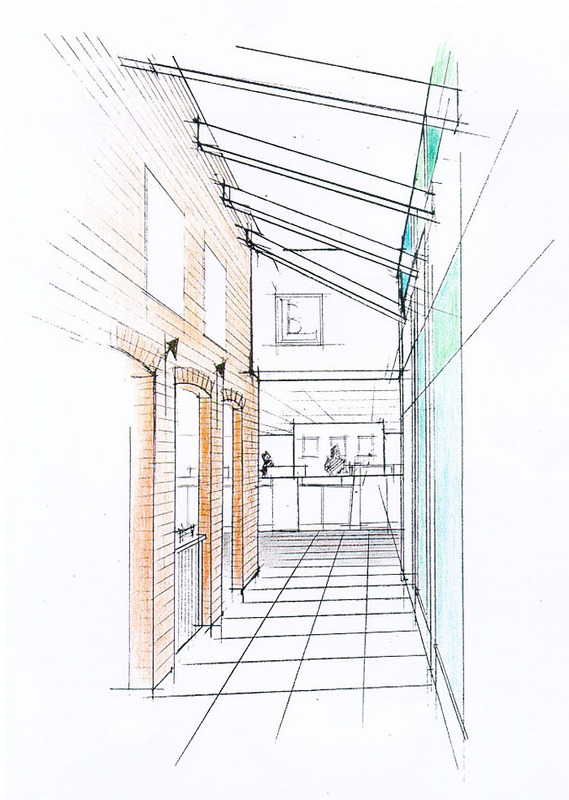 This early thumbnail sketch allowed decision makers to get a feel for the sense of openness the glass space would provide while at the same time providing a high level of security and safety by having the teller windows at the rear. 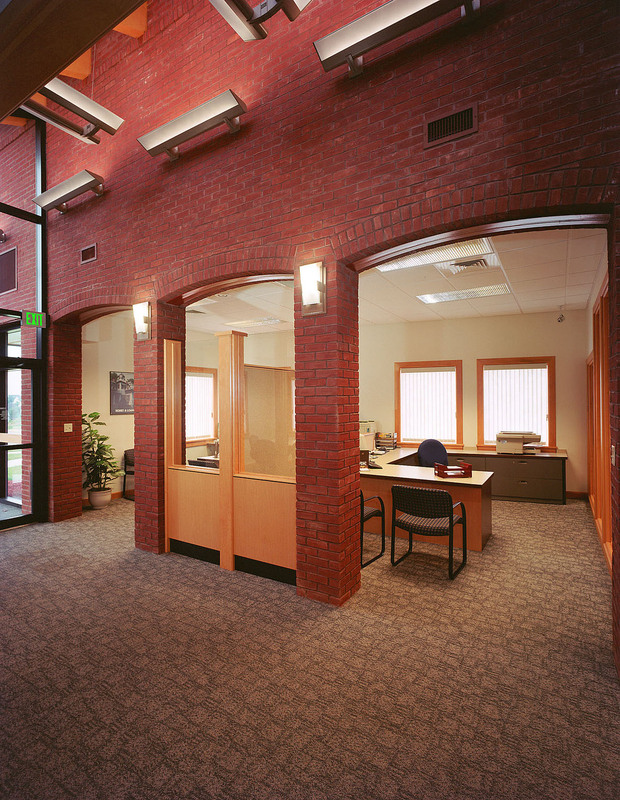 Custom offices for service representatives are bright open spaces, enhanced by the natural earth tones. Access to computerized bank files is at the CSR’s fingertips with each work area being fully equipped with the necessary technology. The open access to the main entry provides a friendly, welcoming environment where CSR’s greet and wave at customers headed to the teller windows. The branch manager’s office can be fully closed off from the main floor for sound privacy during confidential meetings with customers, while glass walls allow the manager to keep an eye on everything happening throughout the areas. The combination of direct and indirect lighting makes this area feel as bright and cheerful as the natural space in the glass tower entrance. 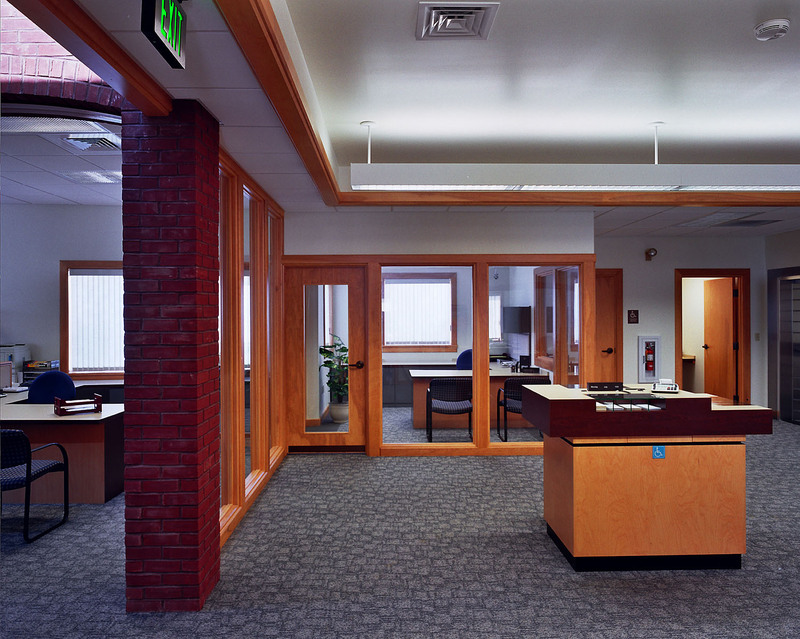 Teller stations have simplicity of design that contrasts to the multiple office spaces that border the pathway for customers. 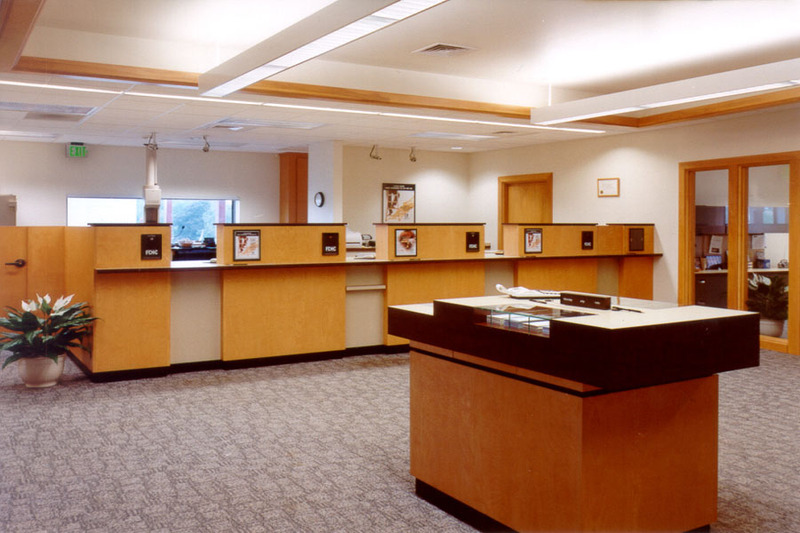 Tellers are positioned for a clear line of sight from both the entrance and the outside drive-through banking area through large areas of windows and doors. Warm wood tones and soft interior wall colors provide a color visual that links all functions of the bank in one seamless experience.